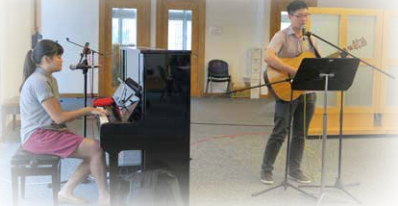 Ms Beatrice Chong, Anglo-Chinese Junior College (ACJC). Beatrice holds a Masters of Education from Harvard University, and comes from a family where four generations of men are “old boys” of Anglo-Chinese School. She started her teaching career at St. Andrew’s Junior College, and prior to this appointment, she was Principal of Dunman Secondary School since 2010. She also has policy-making experience at the Educational Policy Branch, Planning Division, Ministry of Education (MOE). She has been attending Barker Road Methodist Church with her family since young. Beatrice replaces Mrs Kelvyna Chan, who has served at ACJC for 11 years and is now posted to the MOE as Director, Curriculum Planning & Development Division 2. Mr Arene Koh, Anglo-Chinese School (Primary). He joined ACS(P) as Vice-Principal in September last year, after completing the Leaders in Education programme at the National Institute of Education. Prior to that, he was Deputy Principal at St Andrew’s Junior College, and was part of the pioneer batch which set up the School of the Arts. He has a Masters of Education in Learning and Teaching from Harvard University. Married to a Methodist Girls’ School and ACJC “old girl”, Arene serves at Bethesda (Frankel Estate) Church as a keyboardist and pianist. Arene and his wife have a son and daughter. He takes over from Mr Richard Lim, who has served at ACS(P) for nine years and is now Principal of Si Ling Primary School. Ms Grace Ng, Methodist Girls’ School (MGS). Grace is no stranger to MGS culture as she first taught at her alma mater, Paya Lebar Methodist Girls’ School, before being promoted as Vice-Principal in 1997. She was then posted as Principal to Juying Secondary School. This was followed by a stint as Superintendent for N1 Cluster Schools at the Schools Division, MOE. Just prior to joining MGS, she was Deputy Director at the Guidance Branch, Student Development Curriculum Division, MOE. She worships at Bethany Independent Presbyterian Church. Grace replaces Mrs Shirleen Ong, who has served at MGS for six years and is now Director, Education Technology Division at the MOE. 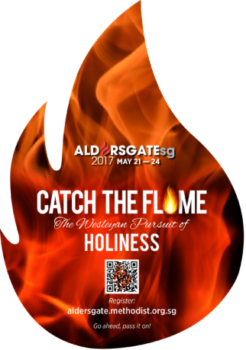 ALDERSGATE SG 2017 ‘Catch the Flame’ and pass it on!